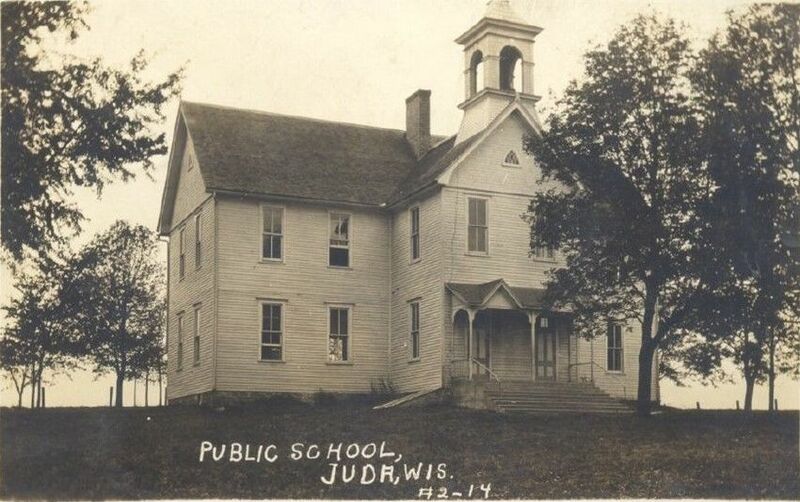 The village of Juda is situated on sections 1 and 2. The land now included in this village was entered in 1837, by Jehu CHADWICK and John CRAWFORD. 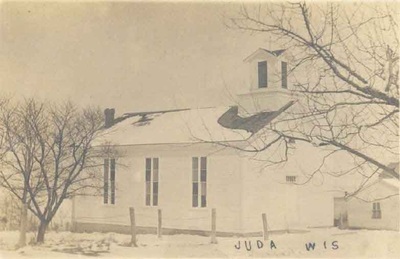 In 1848 Martin DIXON platted a village on the south side of Main street, and named it Juda. In March, 1852, J. D. OVERTON, Benjamin BROADBENT, Robert HANNA and A. B. SMITH platted a village, located in fraction 6, of section 2, township 1 north, range 8 east, and which contained thirty-one lots. The village was named Springfield. In 1883, H. C. WITMER circulated a petition and the name of the village was changed back to Juda. The first birth in the village was Annie, a daughter of David and Martha TAYLOR. The first death in the village was Phebe, wife of Joseph GAUS. Her death occurred in October, 1850. She was buried in the old cemetery at Juda. During the following year three of their children died. The first school house was erected in 1844, and Brooks DUNWIDDIE was the first teacher. It was a log building, situated on Main street. In 1847 a Baptist church was built. The first postoffice was established in 1847, with Edward TENNY as postmaster. 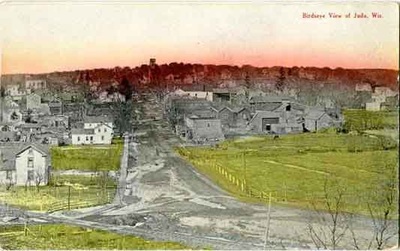 The Village was on the route from Monroe to Beloit, and Janesville to Mineral Point. Mr. Tenny was succeeded as postmaster by J. D. AXTEL; and he in turn by Charles DUDGEON, George GAUS and John SWAN. Banking and real estate - Witmer Bros.
News depot - Witmer Bros.